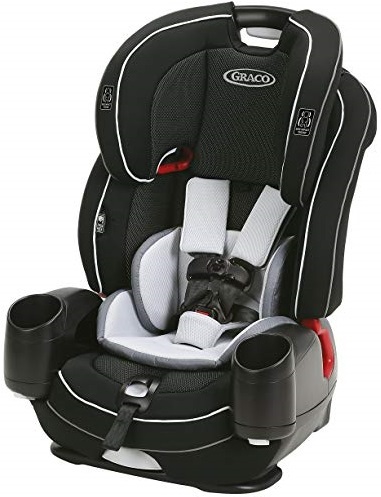 If we talk about premium convertible car seat, we can find Graco 4Ever Extend2Fit Platinum and Graco 4Ever Extend2Fit (regular) as two options that we should consider. They both basically come as the improved version of Graco 4Ever. Which of them is the one that you should choose? To answer that question, it’s important for us to know the differences between those two advanced version of Graco’s popular Graco 4Ever convertible car seat. Let’s talk about their differences in this article, but before that it’s a good idea to shortly look at those two convertible car seats. The table below tells us about the key specs and features of Graco 4ever Extend2fit Platinum and 4ever Extend2fit. We need to know the specs and features of those two convertible car seats before we can talk more about their differences. From the table above, we can find that there are few differences between Graco 4ever Extend2fit Platinum and 4ever Extend2fit. Do you want to discuss more about those differences? Let’s talk about that together. The main difference of Graco 4Ever Extend2Fit Platinum and Graco 4Ever Extend2Fit is Graco EZ tight latch that we can find in Graco 4Ever Extend2Fit Platinum. Graco EZ Tight Latch provides secure and simple installation in 3 easy steps : release and attach latch, retract EZ Tight Latch and push on center of seat to tighten. With Graco EZ Tight Latch, we can install Graco 4Ever Extend2Fit Platinum easier than Graco 4Ever Extend2Fit. 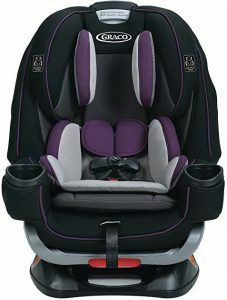 If we look at the design of Graco 4Ever Extend2Fit Platinum, we can find that It comes with more plush design. Additionally, we can also find that it’s completed with more padding than Graco 4Ever Extend2Fit. With more padding, Graco 4Ever Extend2Fit Platinum becomes relatively more comfortable. If we look at the price of Graco 4Ever Extend2Fit Platinum and Graco 4Ever Extend2Fit, we can find that Graco 4Ever Extend2Fit Platinum is usually offered at the higher price. How much is the price difference between the two? 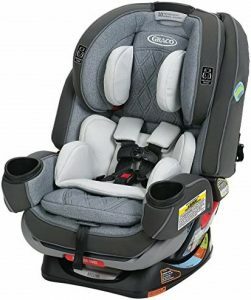 Since the prices of car seats often change from time to time, we need to check the price of Graco 4Ever Extend2Fit Platinum and Graco 4Ever Extend2Fit to find their latest price difference. What’s The Reason to Choose Graco 4Ever Extend2Fit Platinum? Share the post "Graco 4ever Extend2fit Platinum vs 4ever Extend2fit (Regular) Review"